We are dedicated to expanding your knowledge about the franchise industry and helping you find the perfect franchise opportunity for your lifestyle. 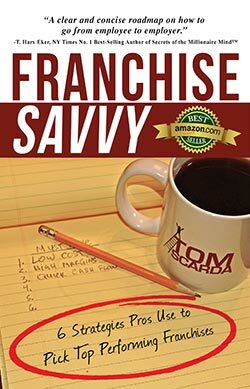 With more than 4,000 franchises, choosing a franchise is daunting. Many first-timers choose franchises for the wrong reasons. Get this guidebook before you make your move. The number of franchised establishments will grow this year by 13,359, or 1.7 percent, to 795,932. Click Here to Chat with Tom! © 2019 Tom Scarda. All rights reserved.